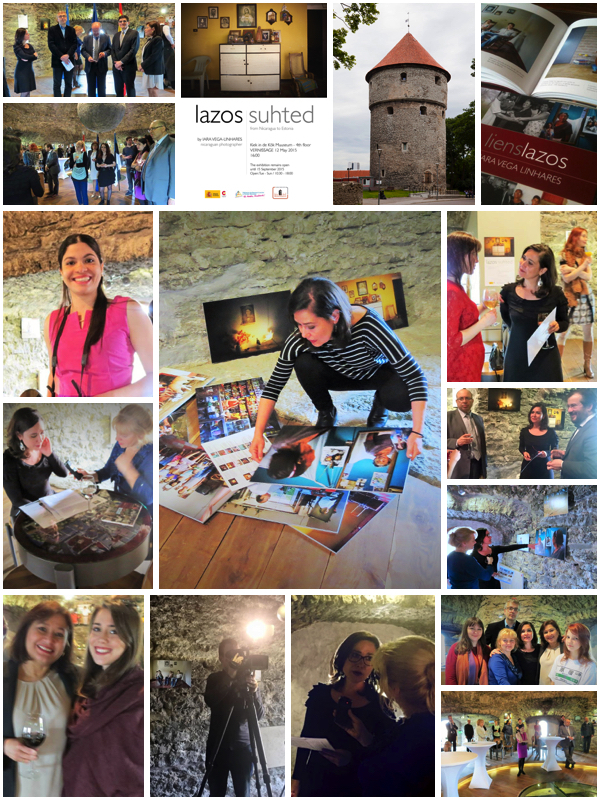 Lazos/Suhted, the photo-exhibition from Iara Vega-Linhares will be in Kiek in de Kök Museum, Tallinn until September 15, 2015. If you are traveling to Estonia this summer, don’t miss it ! The opening of the exhibition, last May 12, was a warm international exchange of culture and solidarity, the feedback from the Estonian public, artists and journalists was fantastic. Curious and wise glances to the unknown. The pleasure of showing trough images, one more time, and like if it was the first time, the beautiful story of friendship and solidarity between the people of two twin cities, San Marcos in Nicaragua and Biel/Bienne in Switzerland. A story that reflects so many similar stories. Organising: Embassy of Nicaragua in Finland, Estonia and Baltic Countries; Embassy of Spain in Estonia and Museum Kiek in de Kök. This entry was posted in Uncategorized and tagged Baltic, Baltic sea, Biel/Bienne, Bienne, Estonia, exhibition, Expo, Iara Vega Linhares, Kiek in de Kök, Kiek in de Kök Muuseum, lazos suhted, Mar Baltico, nicaragua, Photo Exhibition, photoblog, Photography, san marcos, Tallinn, Tallinna, travel on May 20, 2015 by Iara / Blogging with images.